Tom Hiddleston is generous in his interviews. His answers often seem well thought-out, premeditated but not canned, and he's very willing to offer advice on a variety of topics, from acting to love to just being a human being. Hiddleston's advice to his fans ranges from full essays to little gems to interviews, and you would be unwise to dismiss his advise because it comes from an actor. Many actors are able to provide unique insight into human emotion and interaction. Good actors are typically pretty self-aware and spend a greater amount of time than the average professional thinking about how people act and what motivates a great range of people, from what it would feel like to be the less favored brother of a gods to delving into the interior world of a brooding gothic romance hero. Additionally, Hiddleston has ventured out of the acting world to participate in a variety of social and charitable causes, from speaking out about feminism to visiting children in South Sudan. He's certainly a guy who has a lot figured out, and luckily for all of us, he's willing to share his secrets. 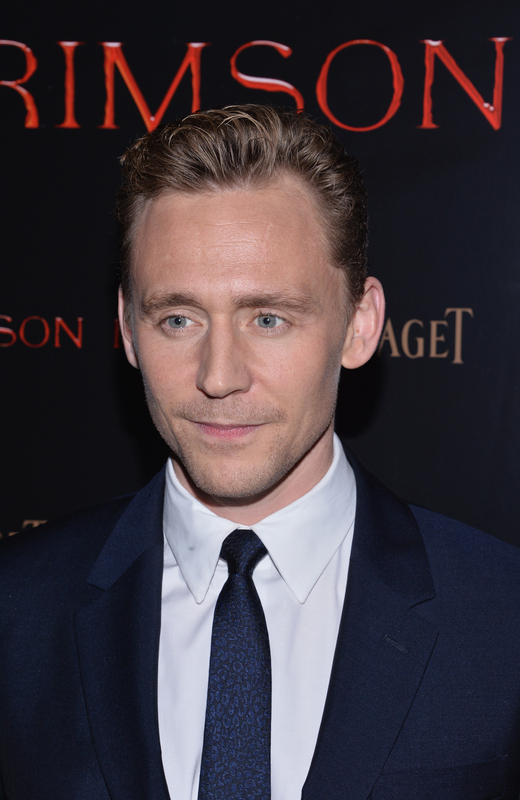 From the silly to the very serious, here is Tom Hiddleston's best advice to his fans. Hiddleston told the men's brand Mr. Porter that the best advice he's ever received was to avoid comparison and regret. "I had a teacher at drama school at RADA [Royal Academy of Dramatic Arts] who told me: 'Never look over your shoulder and never look back.' Which is so true and applicable in so many situations. You can't compare yourself to other people, and looking back isn't helpful." As a stage and theater actor, Hiddleston has a lot of good acting advice. "When I'm given a role, the first thing I do is read the play over and over again," he wrote in The Guardian. "I scour the script and write down everything the character says about himself and everything that everyone else says about him. I immerse myself in my character and imagine what it might be like to be that person." Hiddleston has occasionally shared his wisdom on Twitter. On his 30th birthday, he advised his followers to "never, ever, let anyone tell you what you can and can't do. Prove the cynics wrong. Pity them for they have no imagination. The sky's the limit. Your sky. Your limit." When talking to Fandango about Loki, Hiddleston described why that kind of internalized negativity never fares well. "Haters never win. I just think that’s true about life, because negative energy always costs in the end." The charitable and socially conscious Hiddleston knows that caring isn't always socially condoned. "I gave myself permission to care, because there are a lot of people in this world who are afraid of caring, who are afraid of showing they care because its uncool. It's uncool to have passion. It's so much easier to lose when you've shown everyone how much you don't care if you win or lose. It's much harder to lose when you show that you care, but you'll never win unless you also stand to lose. I've said it before. Don't be afraid of your passion, give it free reign, and be honest and work hard and it will all turn out just fine." Hiddleston told GQ that growing older has helped him realize the finite importance of each moment. "Maybe it's just getting older, you become so palpably aware this is not a dress rehearsal. There's a big sign in blazing neon that says 'You Haven't Got Long.' But I think it takes a beat to learn that. Life has to knock you down in order for you to realize it, because when you're a kid you think you're immortal." More amazing Twitter advice from Tom Hiddleston, this time on the subject of bullying: "the best revenge against bullies is absolutely, resolutely, never to let them change who you are." Hiddleston had some simple but inspirational advice for actors, telling TimesTalk Madrid that living your life is an actor's main source of inspiration. "So I suppose my simple advice is: Love your life. I only say that because your life is what you have to give." After a Unicef trip to Guinea, Hiddleston had some sobering words to share in an essay: "what I learned in Guinea is that we are all responsible for the state of our world. The world – and the system by which we trade, share, cooperate and conflict – is clearly not working. We are only as strong as our weakest members." Responsibility is a big deal for Hiddleston; he told one of his Twitter fans to "Take responsibility for the consequences of your actions, & the world is yours. Everything is a choice." Hiddleston emphasizes that success only comes when you put yourself out there. "If you risk failure, then you also risk success," he told GQ, referring to the fact that he originally tried out for the role of Thor, rather than Loki. Feeling inspired to change the world? Thank Loki for that.